You probably spent far more time with your work collegues than your significant other last year. Maybe you feel you’re drifting apart; there’s not the same spark that there used to be. Or it’s just not working – you no longer see eye to eye on things, and feel you’re not understood or appreciated. If so, maybe it’s time to change job. If you’re thinking along these lines, here’s 5 tips so you are less likely to have regrets. 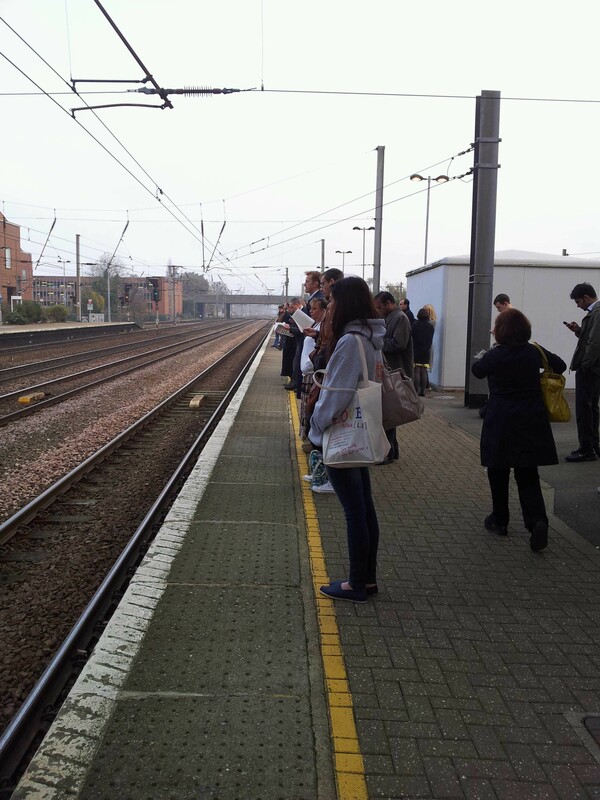 People waiting for the train to spend 8 hours of their day at their 'relationship' job. 1) It’s better to “run to a new job, than run away from the old one“. If the only reason you’re applying is because it’s not the old place, you’ll come across as desperate. Plan ahead, be sure you are not jumping from frying pan into fire, and be honest about your reasons. 2) Look for, and listen to, experience. Get some advice from people other than your mates (who can only see your side). Speak to an ex-collegue or two and find out what they miss from the old place. 3) “Dating agents”: Meet recruiting agents – but be aware that they see you as “product” to be sold. If practical, and especially if you’re moving industry or making a big change, speak to a life-coach or mentor figure. Ask for recommendations. Turn up on time – no excuses. (if you’re ill, tell them as soon as possible). Dress smart, and err or the side of “too smart”. Be confident about what you think the job entails, and why you’re especially good at that. You’re not desperate, remember – you’re confident. Don’t get in a panic. It’s not an exam – it’s a first date. Be interested in the other people, in the other company. You need to find out if you’d like to work with them just as much as they want to judge you. 5) Think of building a relationship over time. You’re going to be there a lot, so it’s a mistake to pretend you’re someone you’re not. Sometimes, it just won’t work out; other times, it takes a bit of effort on both sides. Rarely, for a lucky few, it will be a match made in heaven. Good luck! And remember: be your good, lovable self (on a good day) with quirks and flaws, not someone perfect who doesn’t really exist.